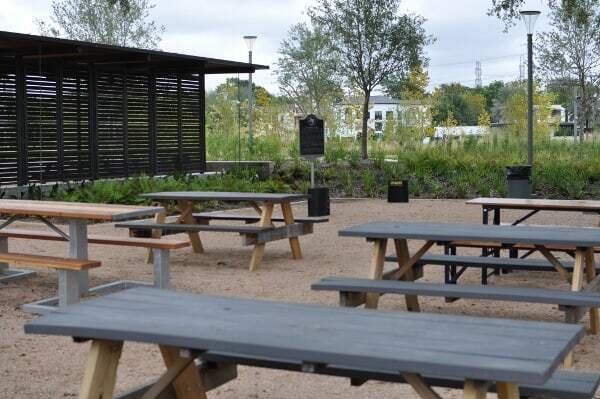 Home»All»Top 10 Family Friendly Houston Restaurants… with Great Patios! 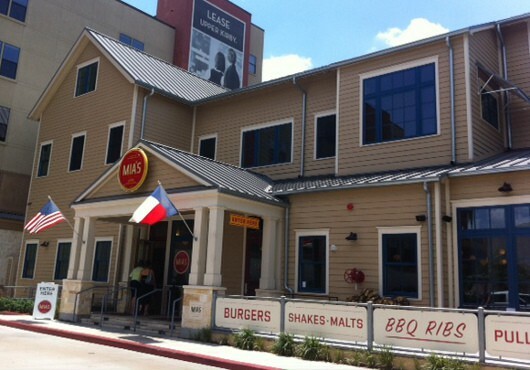 Top 10 Family Friendly Houston Restaurants… with Great Patios! After a long hot summer, it’s time to enjoy the patio! 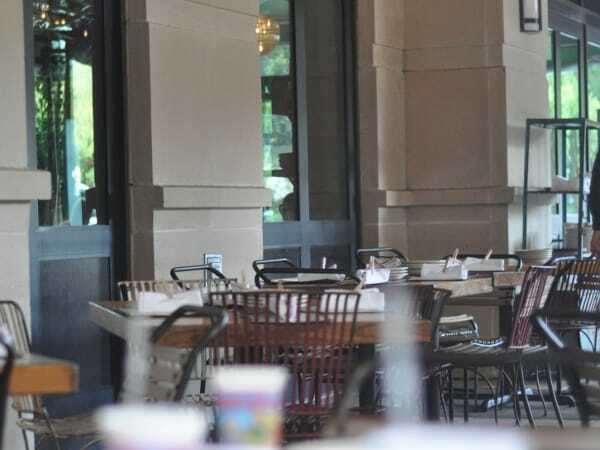 We’re compiling a list of family friendly Houston restaurants, with great patios… that are not too loud and not too close to traffic. Click the links for more pictures of each restaurant. Our favorites are below… and tell us what to add! 1. Punk’s Simple Foods – This place is both casual and sleek… and is fun for parents and kids. Sit on the patio by the courtyard and the kids can run while you wait for your lunch. 2. Mia’s Table – This family friendly restaurant has a wrap around porch where you can enjoy the cool weather… or sit inside right by the big glass doors that open to the patio. 3. 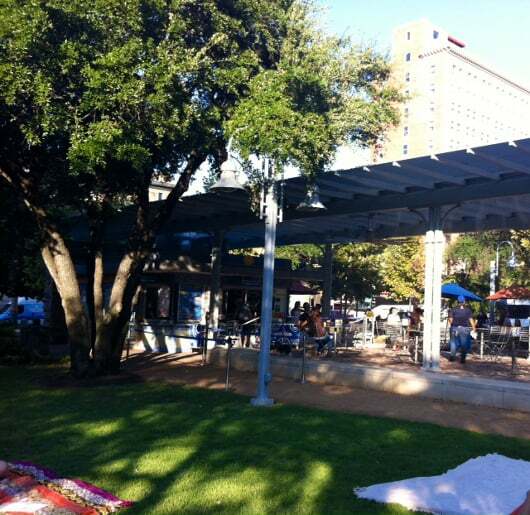 Niko Nikos at Market Square Park – Right in the shadows of the skyscrapers is Market Square Park. In the middle is a small Niko Nikos and a great pergola and patio. The kids can run through the grass while the food is prepared. 4. Good Dog Houston – At the Montrose location you can find fancy hot dogs, lots of board games and a small patio with lawn games! 5. Table 57 – This is the perfect spot for younger kids. 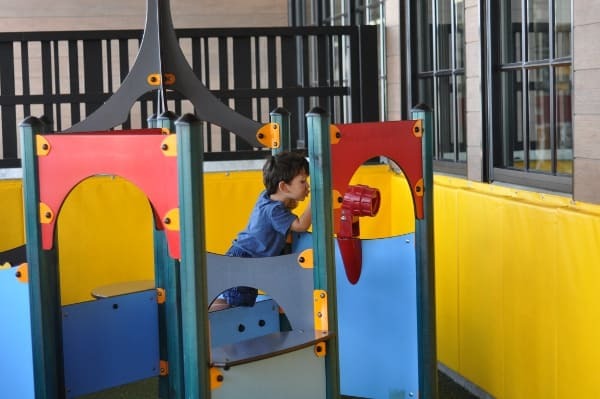 You can sit on the fenced off patio and let the toddlers play in the small play area. Plus, kids eat free on Thursdays.Now closed! 6. 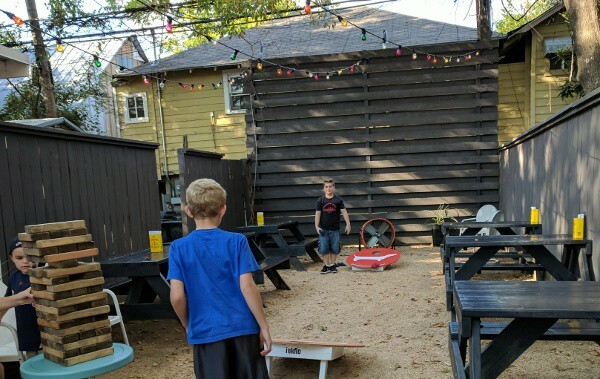 Luigi’s Pizza – This restaurant has one of the the very coolest patios, is kid friendly… and is also half beer garden. 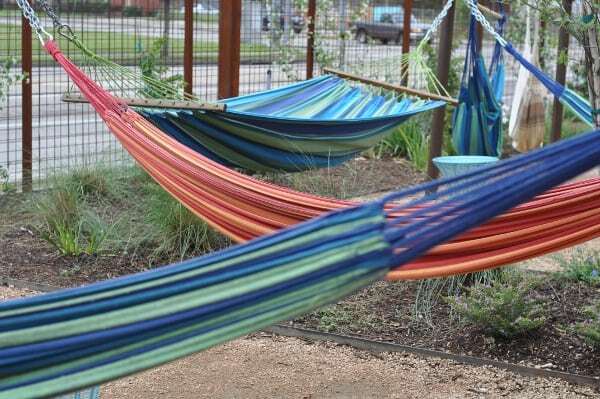 Order pizza and relax on the fenced off patio… full of hammocks. Just go early before the beer garden gets busy! 7. 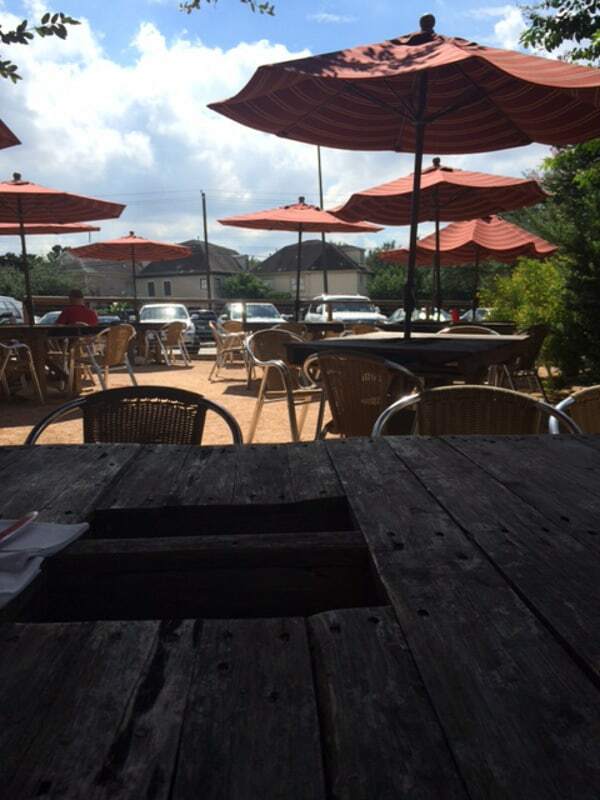 Buffalo Grille – Eat breakfast all day (and lunch too) at the patio on Bissonnet. 9. 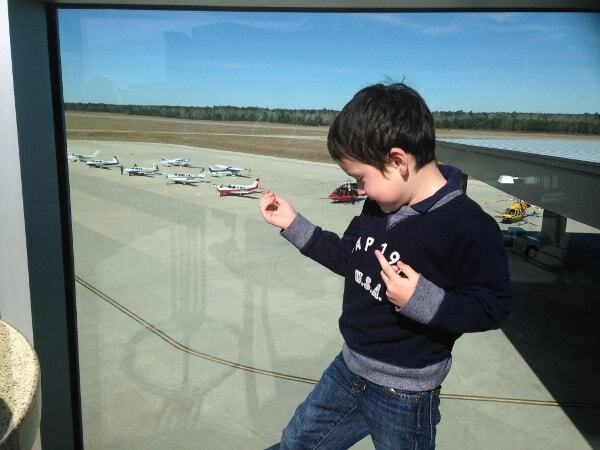 Black Walnut at Conroe Airport – Oh, this place is good for little aviators! The Black Walnut Cafe in Conroe is located inside the Conroe-North Houston Regional Airport! Go inside the airport, ride up the elevator and eat lunch as you watch the planes and helicopters from the patio. 10. 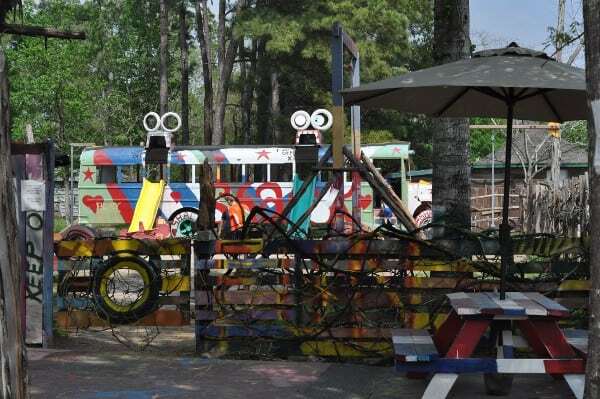 The Shack – This patio has a playground with tires, tire swings, big old bus and slides… plus, lots of picnic tables for the parents. 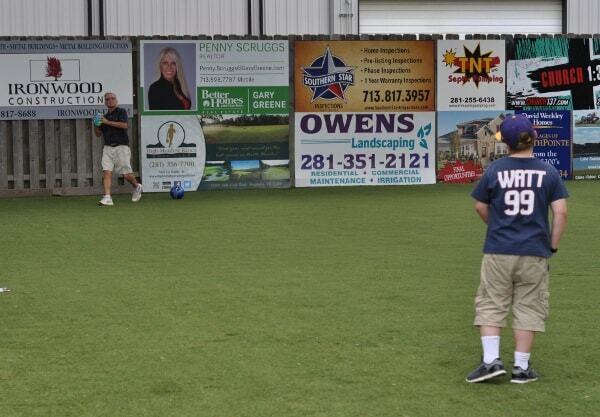 See the pictures HERE. Closed! Where in Houston? San Felipe at S Post Oak!